This is in many ways an anomalous finding. Labour has generally been making gains from the Conservatives wherever people voted against Brexit: as the Financial Times writes, ‘[o]verall the Tories did better in Leave areas, whereas Labour picked up seats in Remain-voting cities’. 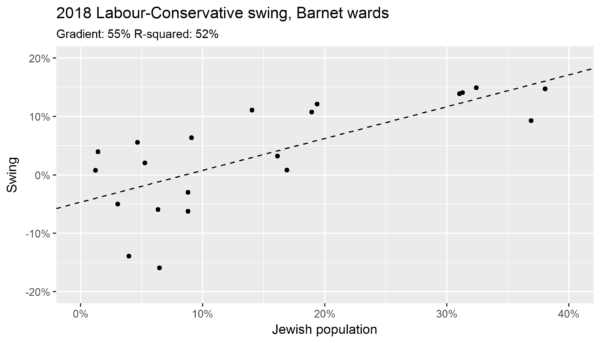 British Jews overwhelmingly voted to remain in the EU, and might therefore have been expected to swing the vote in Labour’s favour. In fact, the opposite happened. 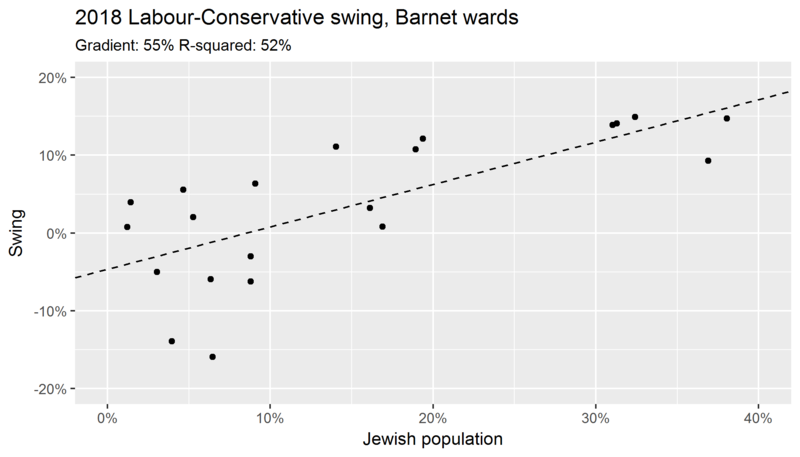 Those campaigning for Labour in Barnet are absolutely clear that the explanation is Labour’s failure to deal with its antisemitism problem.